I decided to show this because I found many people do not know an easy way to do this. So I found it to be helpful to show you a tip that helped me. Maybe you will eat more cabbage now:). 1. Get a large chef knife, make sure it is sharpened well, and start cutting. Notice the diagonal cut on each side of the core, and basically follow each side of the core at that angle. Yes, it is that simple, the core will come right out! 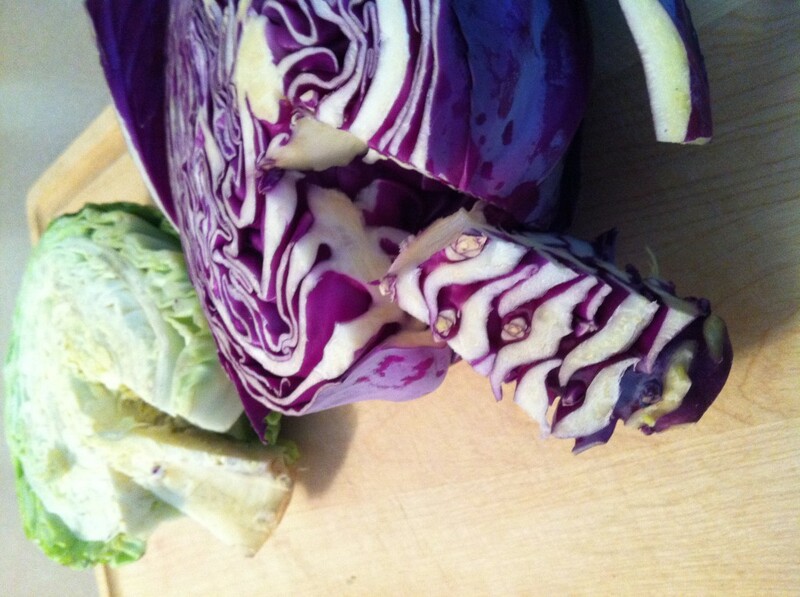 Simply make some braised cabbage, slaw, or soup.